Production of large aluminum structural parts demands one thing above all: high-performance machining with high material removal rates. 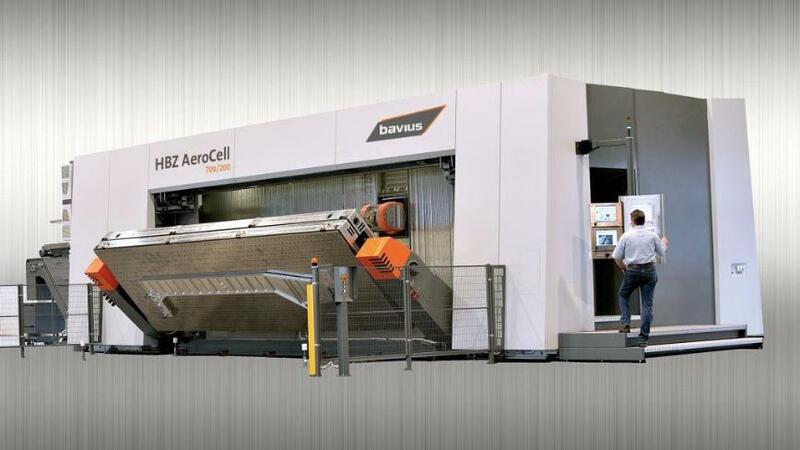 With the horizontal machining center HBZ AeroCell, you will achieve optimum performance in every area. High material removal rates up to 15 l/min are the result of a machine concept designed for high speed cutting: a combination of high travel speeds and acceleration with high spindle power. Ergonomic design is an outstanding feature of the horizontal machining center HBZ AeroCell: the horizontally positioned pallets for loading and unloading and the large viewing window guarantee optimum ergonomic characteristics both during set-up and the actual machining process. The integrated and thus space-saving pallet changing system which is a standard feature of the HBZ AeroCell is equipped with a swivel unit for two pallets and permits loading and parallel to production.